Care for some more Wine? 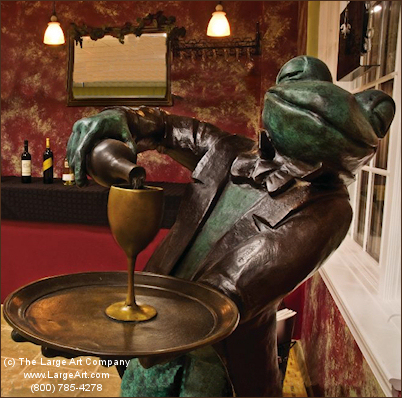 Here is a fun bronze statue of a human size frog pouring wine. Doesn't he look quite distinguished in his long coat and tails? He measures 63" tall x 32" wide x 25" deep. Weight is approximately 150 pounds.